Save on important services for your vehicle! Whether or not you got a tax refund, we are by your side! Save $35.00 on any repair or service during the month of April. 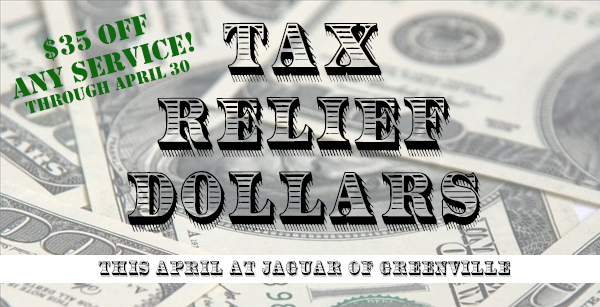 This special offer is only good until April 30, so come into Jaguar of Greenville today! Cannot be used with any other offer. Offer expires 4/30/2016.